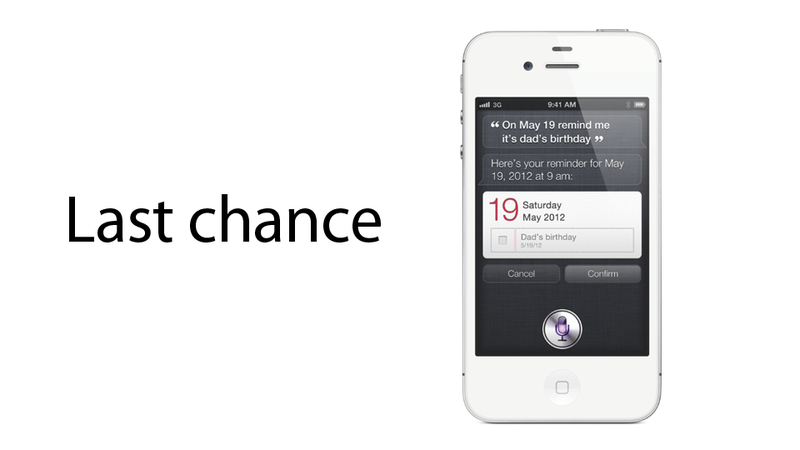 Apple's next iPhone is coming tomorrow. If you're planning cashing in your old phone, you need to do it now. Here's where to look for the best deal while there's still some time left. How to do it: You can go one of two ways with eBay—you can either sell it right now for about $330 or you can wait it out and let it go to the highest bidder. Many of those sales seem to be closing below $400 at this point. 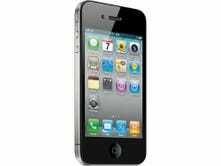 With the announcement coming tomorrow, it might be better to cut your losses and take the cash now—if you wait around, there might not be as many people interested in the iPhone 4S once there's a new model running around. How to do it: Amazon is offering Amazon gift certificates in exchange for your phone. $405 sounds really enticing, but this is only if your phone is in absolute mint condition and you're willing to trade your charger too (that shouldn't be a problem considering the 30-pin connector is expected to shrink). Most iPhones in good condition should earn around $344. How to do it: Just want the cash without the hassle? RadioShack will straight up fork over a nice $250 if you're ready to part with your phone, if it's in perfect condition. But if you accidentally ran it through the spin cycle, RadioShack says it will still give you $73, which is something. You can recoup your pesos by visiting your local RadioShack or mailing your phone off. How to do it: You've got to be willing to put in some work here. That means wading through spammers, scammers, and people with awful email etiquette. But if your phone has taken a beating, this is your solution. You'll see everything from brand new phones to devices that are totally borked. Be sure to check out your local Craigslist page to gauge the kinds of prices iPhones are going for. Though this takes more work, you're bound to get at least a little cash back. If you go with this option, we recommend you meet in a public place like a bank, so you avoid getting screwed out of money/murdered. How to do it: Hate human contact? Here's the route you need to take if you want the best price without any hassle. Get an estimate on your iPhone's worth based on it's condition, then mail it in. These companies will then assess your phone and send you money for it. Check out various sites to see where you can get the best offer, because it totally varies. For example, on the lower end Gazelle will give you just $37 for a completely borked phone while BuyMyTronics will fork over just $75. On the other hand, mint condition will earn you $290 from Gazelle or $360 from Glyde. Prices fluctuate often and will just keep dropping, so do your homework before you collect. Whichever virtual pawn shop you choose to shed your old iPhone, make haste. With every day that passes, these soon-to-be passé phones depreciate. Right now there's still more demand than supply; the longer you wait, the less that's true. And that's money out of your pocket.